Located on main road ; corner of University Drive and Broward Boulevard. A few minutes from 595 and just about 12 minutes to I-95 North or South. Unlimited parking. Two story boutique style building, with a private elevator. In the Saban Professional Building. 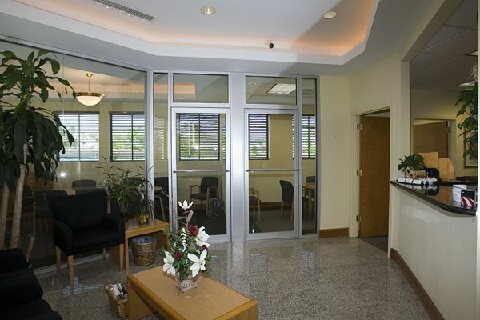 Our suite offers friendly professionals, secretarial and voice mail services. You client will be very impressed with our granite countertops and floors. We have two conference rooms and it is beautifully fully furnished with executive cubicles, which are all connected to the internet.